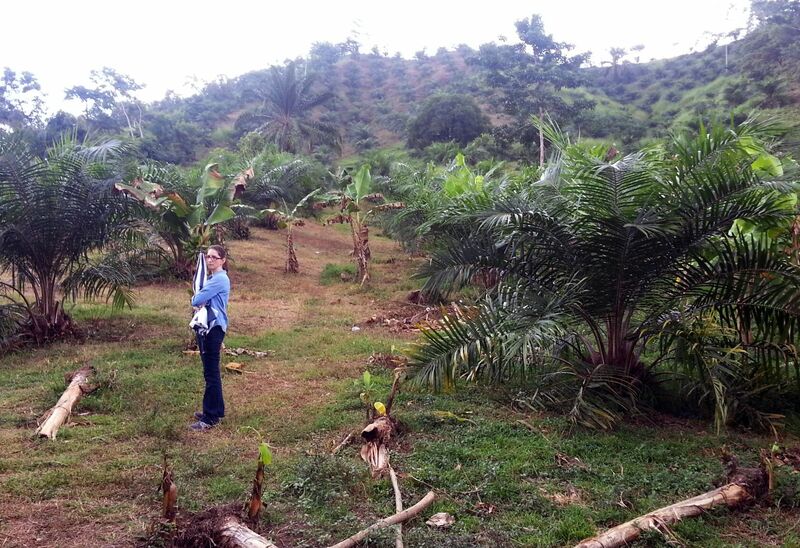 El Caulote is an extremely remote rural community. When SCW first arrived, students were learning in a tiny, dilapidated one-room classroom. Education was not a priority in the community and the rate of students dropping out of school was high. El Caulote is an extremely remote rural community. When SCW first arrived, students were learning in a tiny, dilapidated one-room classroom. Education was not a priority in the community and the rate of students dropping out of school was high. 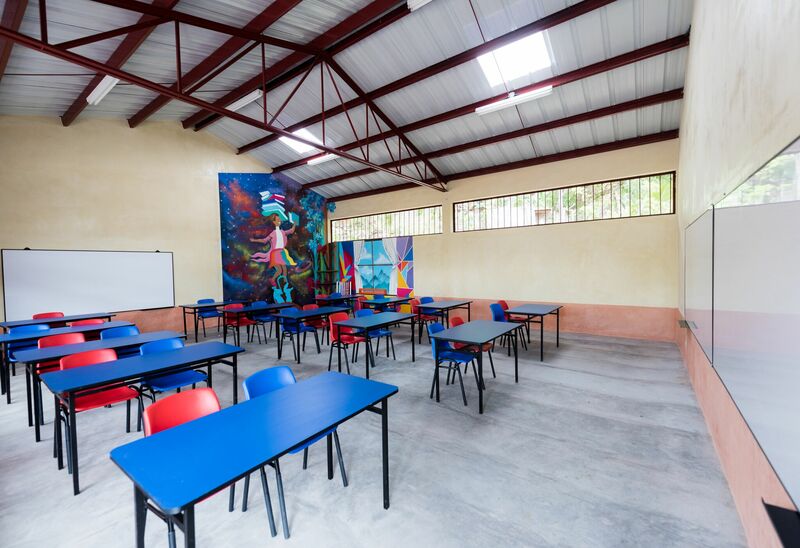 SCW worked with the Municipality and community to build a new classroom with the highest level of standards for Honduras’ educational curriculum. The building was designed to address any seismic and hurricane challenges and was built larger than government standards. The classroom has large window openings adjacent to covered walkways to maximize both natural light and ventilation. The high windows on the opposite wall allow the hot air to escape the classroom while creating natural air circulation. This has proven to work in the warmest of climates. The school is designed to last 50 years, using primarily masonry, concrete and steel materials as we’ve found that schools designed with wood framing typically only last 20 years in harsh environments. The entire school campus has been designed to be accessible for people with physical challenges, including ramps to changing floor levels and accessible bathroom facilities with flushable toilets and hand washing sinks to teach students the importance of sanitation. To incorporate artistic elements that help develop creative and innovative skills, SCW teamed up with Honduran mural artist, Baruc. He donated his time painting the interior and exterior walls of the school, adding color and inspiring creativity amongst the students. Trip volunteer Madeline DeJong made this video for a school project. Want to get involved for a class project, donate your time, or travel with us to help build a school? Email us your idea!